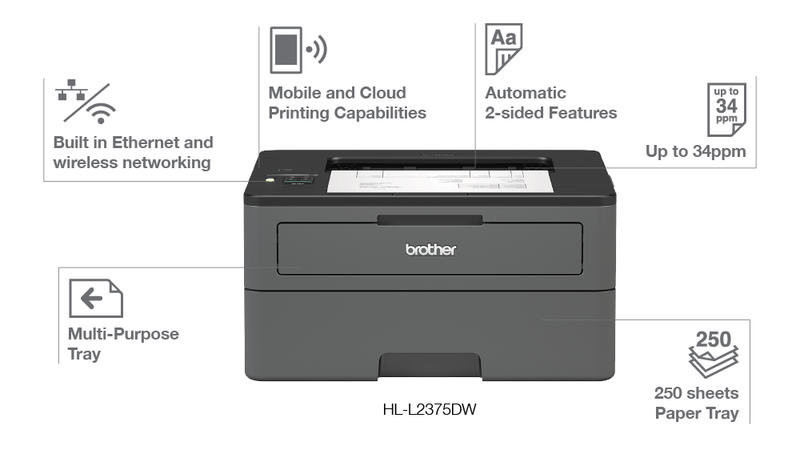 Designed for enhanced productivity and cost-efficiency, the Brother HL-L2375DN mono laser printer combines wireless and mobile printing capabilities to deliver office-wide productivity that you can count on. 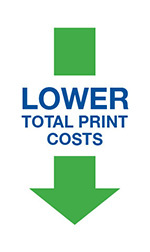 Count on business-class print speeds of up to 34ppm, first page out in less than 8.5 seconds, and excellent mono print quality for sharp, clear text and graphics. Stay productive for longer stretches at a go with a 250-sheet default paper tray and 150-sheet output capacity. Print effortlessly from your notebook PC, smartphone, or tablet without the need for wires. Print using the Brother iPrint&Scan app without having to connect to a network or entering any login credentials. Convenient and secure to offer temporary printing access to visitors!